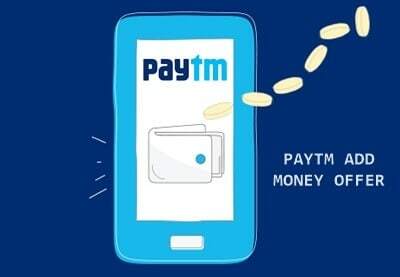 Now avail this Paytm add money offer today and you will get Rs 10 Cashback when you add money to your Paytm wallet using your Paytm UPI address. Add minimum 200 Rs to be eligible for this Paytm wallet add money offer. Offer starts on 07th February 2018 and expires on 28th Feb 2018. No Paytm add money promo code required and one user can avail this add money offer on Paytm only once. Just follow given steps below to avail this Paytm add money offer today. Please note – This Paytm wallet add money offer is applicable only when you add money to Paytm account through Paytm UPI Address only, So please make sure you create UPI Address on Paytm before using this offer. First of all, Visit this link to Download Paytm App. Install >> Open App >> Create a new account or Sign in. Enter the amount (Minimum 200 to avail this Paytm add money offer today). Again Tap on “Add money” button. Pay the amount using UPI Address. That’s it, you will get cashback within 2 working days. No Paytm add money promo code required. The minimum amount that needs to be added is Rs. 200 to be eligible for this offer.